For some employers, “onboarding” is defined as that first paperwork meeting with a new hire — shaking hands, filling out tax forms and practicing signatures. For others, onboarding is simply any learning that takes place from day one on the job. Either way, both interpretations of onboarding are necessary parts of the hiring process, as employees work to acclimate to a new employer. Even after you’ve sealed the deal, there is still a small gap of critical time between job acceptance and an employee’s first day. Usually a few weeks are given for employees to transition out of their current job and take a breath before their new one begins. But a lot can happen during that gap. Job offers are often used to bargain in other interviews or leverage a promotion with a current employer. Some employers combat this risk by starting the onboarding process earlier. “If we can get them in the door faster and have them start completing insurance forms, they’ll be less likely to quit!” But research shows retention comes less from eager paperwork meetings and more from relationship and exceptional hospitality. Creative initiatives to welcome and engage new hires, from the time of offer acceptance to day one, are called preboarding. While ultimately beneficial for employers and a company’s bottom line, preboarding is most effective when genuinely focused on the employee. Whether it’s that first meeting or the first few weeks of work, employees begin learning everything about their new employer during onboarding. Preboarding offers an extra-mile opportunity for the employer to learn about the employee. Taking time and honest interest in a new hire demonstrates the value a company places on its people. This helps new hires make the jump to a new workplace and feel at home faster (while inadvertently encouraging their best work). Attention to hospitality details may seem like a waste of time, but ignoring preboarding can prove costly. Consistent communication with new hires before their first day prevents ambivalence and makes employees less likely to continue communication with other potential employers. Lack of engagement before starting work allows new hires to feel that nothing is yet final and continue pursuing other offers. Employers may use up some time on the front end, but preboarding also saves time on day one. 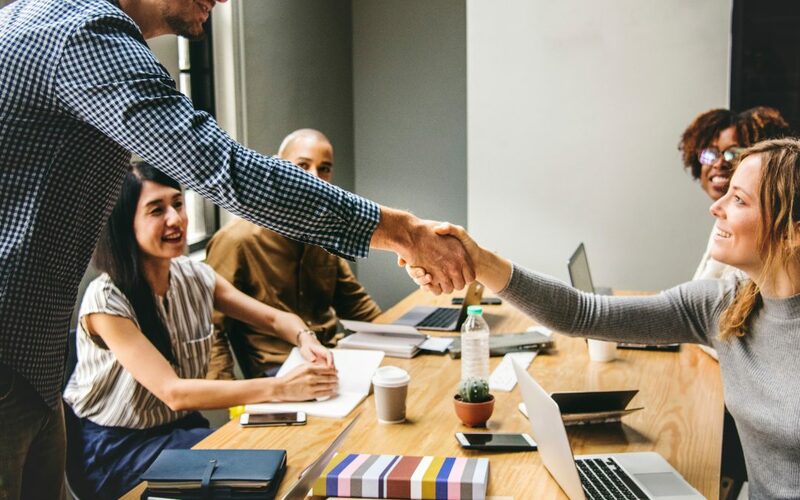 Since a new employee has already become familiar with the team, culture and business operations in the weeks after acceptance, day one can be a work day rather than a day of introductions and tours. So how is it done? Is it really just muffin baskets and welcome emails? Sometimes! Before an employee’s first day, schedule a tour followed by a lunch with immediate team members or their managers. This helps the employee to feel more confident on their first day instead of walking in blind. Pay attention in interviews and follow up with specifics. If a new hire mentions their family in the interview, send a gift basket including treats for their kids. If they just moved to the area, gift them with favorite local goods and a list of restaurant recommendations from their coworkers. Keep checking in. Consistent emailing shows an employer is available. Sending a schedule of the first week, creating their email account and telling them when their desk is set up lets a new hire know you’re anticipating their arrival and keeps them in the loop. Some companies offer “show up bonuses” on an employee’s first day or at the end of their first month. Of course this isn’t feasible for every company, but this bold gesture is an unexpected way to show appreciation. Follow through. Hospitality attempts can seem insincere if new employees are left to fend for themselves after day one. In the initial learning stage at a new job, consistent check-ins are necessary to ensure confident acclimation specific to each new hire. This care and attention will not go unnoticed and can help ensure best fit for both employees and employer. You may not be able to give your employees a million bucks, but you can make them feel like it! These small gestures help to guard that gap of critical time, and keep your employees excited about their new position with you. Want to spend less time with the HR hassle and more time with your people? We want that for you too. Contact us today and see how Servant HR can give you the freedom to focus on what’s most important. Medical insurance renewal season is usually considered a “necessary evil” in the grand scheme of medical insurance. We want the coverage, but we hate anxiously waiting for the renewal rates. I had the opportunity to sit down with Founder and President of Servant HR, Jeff Leffew, and talk about this topic. During our discussion, Jeff shared his perspective on three key areas’ the Servant HR team gets asked this time of year. 1.) What’s different this year? Healthcare and medical insurance is ever evolving, which makes renewal seasons unique every year. And this year is no exception. According to Leffew, the biggest distinction is the length of time this renewal season covers. In fact, the renewal season for small groups that are not currently on an Affordable Care Act (ACA) qualified plan will extend until the end of 2017. As an example, a company has an Oct. 1st, 2016 renewal date. Instead of renewing Oct. 1st, 2017 (or 12 months from the last renewal) their plan would actually go to the end of 2017 (or a 15 month period). If their renewal date was Dec. 1st, 2016, it would go to the end of December 2017 (or 13 months). Why is the renewal season length different this year? When the ACA was established, there were serval provisions given that delayed the ACA from being fully implemented. Because these provisions will be gone by January 1st, 2018, it doesn’t make sense for companies who renew on October 1 to turn around and renew again for only three months. When you get your renewal percentages, they might be a tad higher than normal because they could be covering 13 or 15 months. It all depends on your renewal date. For small groups in Indiana, the options for medical insurance coverage are beginning to dwindle. According to Leffew, groups with fewer than 50 employees realistically have only three or four providers that will offer quotes. The environment for an insurance company is so complex that it’s difficult and costly for new companies to break into the market. As a result, they barely get off the starting line because looming regulations and complexities make profitability quite stingy for these companies. There was a time when the requirements to obtain medical insurance were less formal—less controlled. Those days are over. Now that companies are being held accountable by the federal government, the standards are black and white. While the intentions may be good, Leffew believes it has taken away the ability for medical insurance companies to make judgement calls. He says, “Not all businesses look alike. There are unique situations, but the human element has been taken out.” With the reality that everyone has to look the “same”, judgement calls become less of a viable option for companies to make. If you have questions about our top 3 list or need help this renewal season, we’d love to talk with you. 2. It will change the types of plans employers will offer employees. I predict that the time is coming where brokers will start breaking the news to small groups that they have fewer choices in benefits plans. Health care reform is dictating to large groups how benefits plans have to function. In order to meet the definition of what a plan is, carriers are going to have to redesign their plans. The carriers for a short time will continue to have a wide variety, although they eventually will narrow the choices to meet what is called a “qualified plan.” The government is telling us all what is appropriate, and this increased pressure on carriers will lead to limited choices for consumers. Robust plans will be available, but they will be cost prohibitive for most employers. A fascinating thought leader in this area is Dr. Ben Carson. Carson is a pediatric neurosurgeon who was raised by a single mother in inner city Detroit and eventually carried out work on the first separation of conjoined twins. To summarize his big idea, he argues that if the government is going to mandate anything, carriers should be set up as nonprofit organizations. It is an interesting idea to consider. If insurance companies were set up as nonprofits, it would take out the natural battle between a government mandating a product and a business’s focus on making a profit. So given the current and impending medical insurance landscape, what can a small group employer do? For companies that are around that 50-employee mark, I would recommend that you think twice about getting bigger or expanding right now. Before you begin growing, be sure you count the costs. We haven’t had to consider these costs in the past, but this is part of our new reality under health care reform. If you need to hire and doing so is cost prohibitive considering the growing costs of health care, you may need to think about increasing the prices of your own services or products. At the end of the day, you need to know what is in the bucket of money you have to give your staff (wages, taxes, benefits, etc.) and be sure that benefits are still valuable because you will have to evaluate what makes sense. I encourage you to look at your position in the marketplace and the skill set of your employees; see if a salary increase is a better choice in place of health insurance. Fifty is the magic number when it comes to employee counts. But for small groups under that 50 mark, health care reform still has repercussions. Be ready to tackle those today. What questions do you have about health care reform? Contact me to see how Servant HR can help. 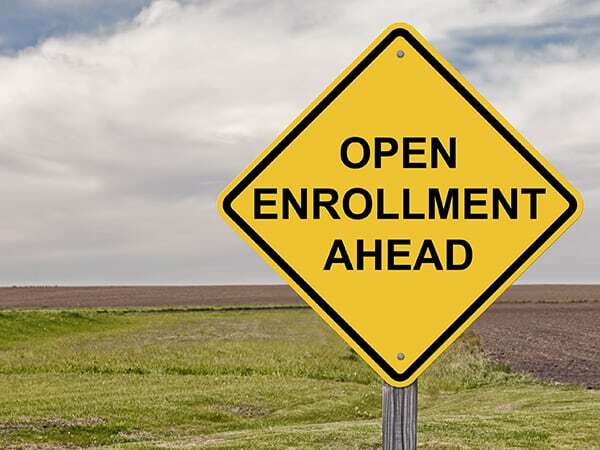 There has been some confusion regarding news that came out July 2 about the Obama administration’s decision to postpone implementation of his health care program’s employer mandate. This change only affects large group employers — not those with fewer than 50 full-time employees. Small group employers have other issues to consider. 1. It will change how the rates of those plans will be determined. Small groups aren’t currently required to offer health care benefits to employees. If they do offer it, they are offering it at will. The common worry among employers and analysts is that health care plans will be very expensive in the future, and projections are showing that this is a legitimate concern. Even if an employer is offering health insurance benefits now, the price tag could be prohibitive in the future as plan prices increase across the board. The result could be that employees are forced to find coverage at the individual level in the exchange market. Why are rates expected to go up? For one, health care reform requires carriers to determine rates by a community rating. A community rating system (opposed to a system based on risk) is currently being used in New York, Maine, Colorado and several other states. It’s not a foreign concept, but it is not at a national level — yet. In a community rating system, a person’s individual health history and occupation do not help determine their rate. Today, when someone is in a higher-risk industry such as construction or commercial fishing in Alaska, their occupational risk is used to figure their rate. Likewise, if someone works in a slow-moving office setting that’s considered a preferred industry, that person may be able to earn credits to get lower rates. Under health care reform, that kind of risk isn’t weighed. Under health care reform, employers or insurance companies may no longer ask if you or anyone in your family has a history of cancer, heart disease or other health issue. This may seem good for the employee and bad for the employer, but it’s not so cut and dry. Think about your driving history. Insurance carriers regularly reward safe drivers with less expensive rates, credits and better coverage because they can make an educated guess regarding what their risk is if they insure that driver. If someone has had multiple traffic violations and accidents over the past couple of years, that information is also used to determine rates. If all of us drivers are lumped together as just “drivers” without the benefit of a little driving history, there is much less incentive for us to drive safely. Similarly, it could be argued that under the community rating system, there is less incentive for your employees to be healthy. The community rating does consider gender, whether the person is a smoker and where they live. If you live here in Indiana, where we are known as one of the unhealthiest states in the country, even running the Indianapolis Mini-Marathon every year, abstaining from alcohol and eating right at every meal won’t help you when the community rating system goes into effect. Consideration by insurance companies of individuals’ preexisting conditions is going away as well. This has been the case for children since 2012. Last year, virtually all carriers in the state of Indiana pulled out of writing policies solely for kids. The result is that affected parents can either pay for children’s expenses out of pocket or go through the state to get a medical coverage policy. Medical Mutual of Ohio just pulled out of Indiana completely — for children and adults. With one less carrier, we have fewer carriers competing for Hoosiers’ business. Helping everyone get coverage despite their health history seems like a good idea, but eliminating the ability to ask about preexisting conditions has negative repercussions for business. For example, employers would want to be aware if an employee coming onto a new insurance policy has had three back surgeries, because chances are good that person will need another one. The bottom line is that when the insurance carriers can’t predict the kind of risk they may be covering, they have to think worst case scenario. As a result, rates are poised to increase under health care reform. Look for Part 2 (Types of Plans) on the Servant HR blog tomorrow, July 26. 1. Is my company subject to COBRA? 2. Who qualifies for COBRA coverage? 3. How long does COBRA coverage last? Get all five questions and Loren’s expertise on each in the video. Watch more ways to strengthen your HR here. If you can’t see the video above, visit http://youtu.be/_WwKJsrLdBs. You pay your employees an hourly wage or salary. You know that number. They know that number. It’s the one they use to pay bills, put food on the table, fill their gas tanks and clothe their families. You remind your employees of that number on a regular basis by way of a paystub or check. But that number is just part of the investment you make in your employees. Showing your employees a more complete picture of how and how much you are spending on them can help you hire and retain top employees, and assist in compensation analyses to inform your salary and wage decisions. Employers invest so much more in their employees than just a base salary. One of things that human resources professionals can do is explain to a controller or accountant how much the business spends on the employee beyond base wage or hourly rate. Those things can include overtime pay, FICA tax, Social Security payments, unemployment compensation fund payments made to the state, workers’ compensation, and benefits such as health, dental, vision, life, disability and retirement. All those tangible dollars or benefits that are paid on behalf of the employees are part of the hidden paycheck. A Human Resources Information System (HRIS) can tally up the numbers and uncover the hidden “pay” employees receive. But a hidden paycheck isn’t for every business. Here are some pros and cons for employers to consider before proactively divulging their numbers. PRO: They can bring to light your best assets. For companies with robust retirement plans or benefits plans — paying for substantially more than 50 percent of employee benefits — a hidden paycheck can accentuate the positive. Other programs like tuition reimbursement, bonuses and commissions can be quantified and should be part of a hidden paycheck. CON: They can uncover your shortcomings. If you don’t have a strong benefits plan, you probably don’t want to draw attention to that fact. PRO: They help make you competitive. When an employer can quantify just how much an employee costs, you can use that information to execute a compensation analysis to see how competitive your company is in the marketplace. As a result, you might want to make wage, salary or benefits adjustments to help keep you well staffed and on a growth track. CON: Employee response is unpredictable. PRO: They can help you keep good people. If you have spent time developing your employees to be valuable assets to your company, you don’t want them going anywhere. If they are only familiar with their annual salary total, they might be tempted to find a bigger number elsewhere. A hidden paycheck can help them understand that they are getting much more than what they see on a paystub, putting you in a better position to have loyal employees. CON: They can encourage employees to look elsewhere. If an employee sees his or her hidden paycheck and decides the numbers don’t add up in his or her favor, a job vacancy might be in your future. If you are taking steps to retain employees with a solid benefits plan, this should not be a problem. But if other parts of your HR machine aren’t in place such as employee engagement strategies, fair policies and a healthy company culture, an unimpressive hidden paycheck could be the straw that breaks the camel’s back. PRO: They divulge administrative costs. Besides the legal obligations and benefits you pay for each employee, there are administrative dollars spent. Equipment, office/building space, vacation time, holiday breaks — all of these things cost money, and it’s useful for employers to know how much they are spending or saving with their current choices and HR policies. Generally, a hidden paycheck is a well-received, effective way to communicate the value an employer places on its employees. If you are interested in more information on producing a hidden paycheck, contact me, Mike Yoder, at 317-585-1688.